Democratic Montana Insurance Commissioner Monica Lindeen tells auto body customers not to be “steered” and reminds them of their rights in a new PSA-type ad which ought to please collision repairers. The announcement was paid for by the Montana Collision Repair Association and Montana Broadcasters Association. “Don’t be steered in the wrong direction,” Lindeen says, and reminds customers they can go wherever they want for collision repair. 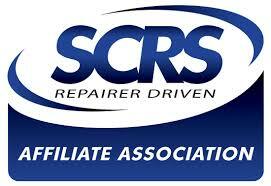 Society of Collision Repair Specialists board member Bruce Halcro, the past president of the Montana collision association, said the ad is scheduled for release March 17. A version with “For Approval” in the title has been posted online, but Halcro said it’s received the OK and should mimic the final one. “We’re excited to get it running,” Halcro said. Next postAre cheap repairs part of an insurance scheme?